Talk about a competition! The 2011 USA Boxing Women’s Boxing division heated up yesterday with some truly fierce quarter-final action — and for the winners in the three Olympic weight classes (Flyweight, Lightweight and Middleweight), it was not only the chance to move on to the semi-finals, but the guarantee of a berth for next year’s Olympic Trials! The afternoon quarter finals included a barn-burner between two four-time national champions: Queen Underwood (Seattle, WA) and Caroline Barry (Boulder, Co). The meeting between Underwood and Barry was tough, competitive and highly skilled. 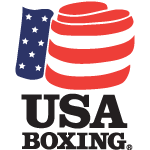 USA Boxing note the round-by-round as a battle of strength and wills with each round a tough fight between the two competititors. In the end, however, Queen Underwood, coming off of two rousing preliminary bouts was able to pull off the win with a cleanly fought 4th round giving her the 14-10 decision over Barry. The win guarantees Underwood a coveted spot in next year’s Olympic trials. The good news is that Caroline Barry is that she can still qualify for the U.S. Olympic Team Trials if she emerges victorious at the Women’s Golden Gloves or National PAL Championships. 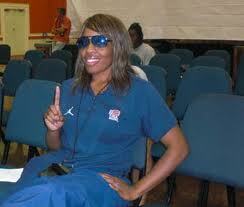 Queen Underwood will fight in the semifinals against N’yteeyah Sherman (Barberton, Oh). 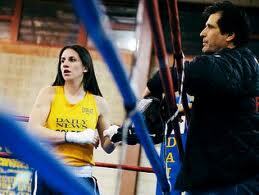 New York’s own and 2010 National PAL Champion Christina Cruz won a decision over Nicole Pasillas, (Aurora, CO) with a rousing 18-6 decision. In the other highly anticipated female flyweight division bouts 2010 USA Boxing National Championships finalist, Marlen Esparza (Houston, Texas) handily defeated former National Champion Cynthia Moreno (Guadalupe, Ariz.) 25-15. Rounding out the lightweight division Tyrieshia Douglas (Baltimore, Md.) defeated Berenice Hernandez (Las Vegas, Nev.) 25-14 and Poula Estrada, (Palmdale, Ca.) defeated hometown Alicia Avila, (Colorado Springs, Co) in a closelfy fought contest by a mere, 11-10. The women’s middleweight division was no less exciting in a bout between two-time national champions. The reigning middleweight titlist Tiffanie Hearn (Louisville, Ky.) battled the former light heavyweight champion Tika Hemingway (Pittsburgh, Pa.). According to USA Boxing, “Hemingway took the early lead in the bout, holding a 10-5 edge after two rounds.” Hemingway was able to win an upset victory with a final score of 17-14 margin. She will face 2009 National Champion Alyssa DeFazio (Peoria, Ariz.) in Thursday’s semifinals. In other exciting action, the rousing fighter of the Pan-Am qualifier, Franchon Crews, (Baltimore, Md.) 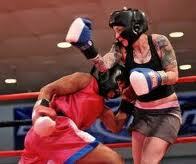 had a forth round stoppage over Audrey Drew, (Dallas, Tx), RSC-4 (1:10). To round out the quarter finals, Tiffanie Ward, (Hacienda, Heights, CA) defeated Christina Jensen, (Centereach, N.Y.), 31-11 and Alyssa Defazio, (Peoria, AZ) won her bout over Dara Shen, (Fairfax, VA), 29-10.